OK, here are two questions for you Rules enthusiasts. 1. Does a player incur a penalty for treading on their ball in play that is lying in a water hazard, but not in water? 2. If the player chooses to take relief from the hazard under Rule 26-1, do they incur a second penalty stroke? If you have answered, “Yes” to both of these questions then you know more about this Rules situation than the current world No. 1, correction No.2 golfer, Jordan Spieth. Q. A ball lying in long grass slips vertically downwards. Or a ball is accidentally stepped on and pressed down, say a quarter of an inch, in the grass or into the ground. In each case, has the ball moved? A. Yes, unless the ball returns to its original position. The direction of movement is immaterial. If a ball is believed to be lying in water in a water hazard, the player may, without penalty, probe for it with a club or otherwise. If the ball in water is accidentally moved while probing, there is no penalty; the ball must be replaced, unless the player elects to proceed under Rule 26-1. If the moved ball was not lying in water or the ball was accidentally moved by the player other than while probing, Rule 18-2a applies. Following the completion of his round, Jordan spoke at length (why, what was there to be discussed?) with PGA Tour rules officials, who informed him the Rules did require him to include the penalty of one stroke for the infraction of stepping on his ball. A competitor who has incurred a penalty should inform his marker as soon as practicable. b) Jordan did not know that he had stepped on his ball !!! c) Jordan realised that stepping on his ball did incur a penalty but chose to carry on by dropping a ball outside of the hazard without saying anything to his fellow competitors (in my opinion, this explanation is extremely unlikely). So, I conclude that we have yet another example of the lack of knowledge that many professional golfers have about their job of work. One last point for me to clarify is that when a player chooses to take a penalty stroke relief from the water hazard after causing their ball to move, they do not have to replace the ball before doing so, as is usually the case with a breach of Rule 18-2a. In conclusion, this additional penalty stroke incurred by Jordan Spieth did not have any material impact on his progress in the tournament, as he missed the cut by five strokes. Some of my colleagues made quite disparaging remarks about Speith's ignorance of the rules. True, he he has now learned something but how many know the significance of a ball being in water in a water hazard as opposed to being on a dry area within the hazard? What Speith actually said to officials was "OK Guv'ner, you got me bang to rights. 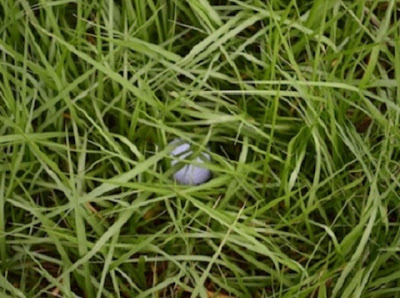 It's a fair cop"
In my opinion, anyone that makes several million dollars a year from playing golf should certainly know that when they step on their ball in play they incur a penalty of one stroke. In a tournament my competitor picked up his ball on the tenth stroke saying he had it on this hole. He had the other competitor write 10 strokes on his card. As A result I lost to him because our score differed by a couple points. What was the right thing to do? How many strokes are Ok before one stops counting that hole? You can email questions to rules at barry rhodes dot com. If you were playing the Stableford format (you mentioned your scores differed by a couple of points) then you pick up your ball as soon as you cannot score any points on the hole. See my blog on the Stableford format dated 7th August 2011. If it was a strokes (medal) competition you must putt out for a score on every hole and so your fellow competitor was disqualified when they picked-up after 10 strokes. I know the rules well, and this is just another situation that makes people not like the rules and why we need two sets, one for the usga when they have two people with every group and one for my buddies week end game for a beer. A week end guy trying to save $5 and find his ball in a dry hazard should only get a one shot penalty. I'm with you on this knowing the rules thing. This is how they earn their living for goodness sake. My own thoughts are that given the amount of spare time spent in hotel rooms and on aircraft, these players, and in my opinion even more so their caddy's, have no excuse for not knowing the rules. I understand your point, but do not agree with it. In my opinion, one of the great benefits of golf is that the Rules are exactly the same for every single person that plays the game, whether they are professional or amateur, no matter how low or high their handicap and whatever country and conditions they play their games. Also, I do not agree that a player searching for their ball in long grass in a water hazard should not be penalised, whereas if they are looking for it in long grass just outside a hazard they are. Players are only penalised for taking relief from the water hazard if they choose not to play their ball when they find it inside the hazard. Apologies - I've just found your site and don't know the protocol. I have another query concerning water hazards - may I ask it here? I do answer questions on the Rules of Golf by email to rules at barry rhodes dot com. But I do ask that you enter a search term in the 'Search This Blog' box at the top right corner of every page, as I have covered most Rules subjects over the past eight years.